From anniversaries to birthday parties, we've got your back. Looking to impress? We'll cater for your next important event and promise to wow. 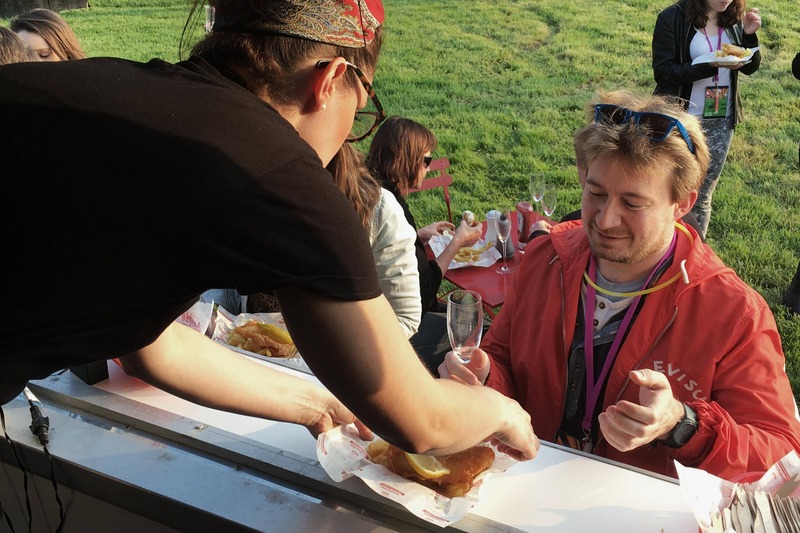 Nothing says a party like mouth-wateringly good fish & chips. Celebrate saying I do with the nation’s favourite food… fish, chips! Friends and family will love it too! "When we booked Simpsons for our wedding catering, we knew by having the UK's best Fish & Chip shop that expectations were going to be high. Our wedding guests had travelled from all over the country (and one or two from abroad!) and I have to say the Simpsons' team completely blew away everyone's expectations. The food, service and people were just incredible; you honestly cannot put a price on having confidence in your supplier when planning a wedding. You want everything on your big day to be absolutely perfect and with Simpsons it really was. When people mention how amazing your catering was first and how special your day was second, you know you made the right choice! We cannot thank James, Bonnie and the whole team enough." "Where to start! Well the team were very efficient, organized and very professional! The food, we'll it was utterly delicious as I knew it would be! My guests thoroughly enjoyed it - with some even requesting 4th Servings! Such a different idea, and the set up really added to the theme for my day. The biggest thing for us, was that they were able to cater for my coeliacs disease. Not only was their alternative batter mix delicious, but it went completely unnoticed by my guests which is what I wanted. Iv been asked by so many for their details for upcoming events, and I haven't hesitated in recommending them. Iv had nothing but amazing reviews from my guests and we think they made a great addition to our special day! Thanks James and the team at Simpson's!" "Thank you so much for all of your help, you were brilliant from first enquiry to finishing on the night. 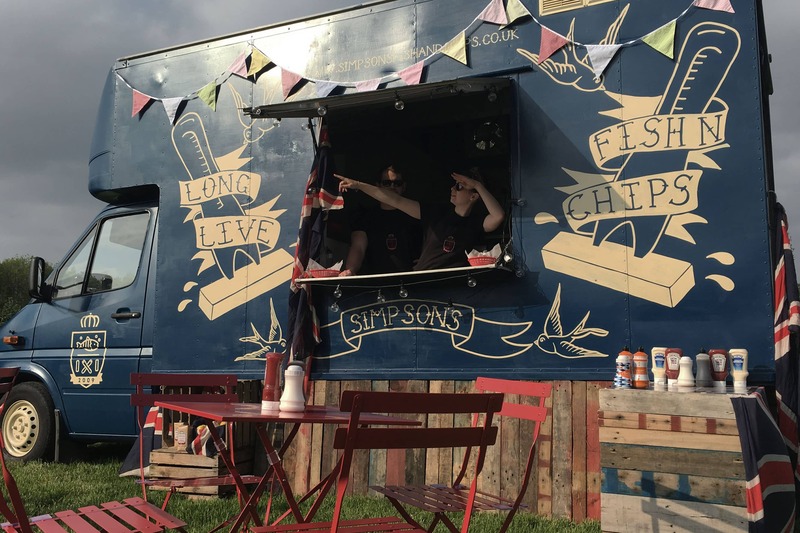 We're so glad that you started to do outside catering because we can't think of anything we'd rather have had than fish and chips and as we've been coming to Simpsons since you opened it was the perfect choice! 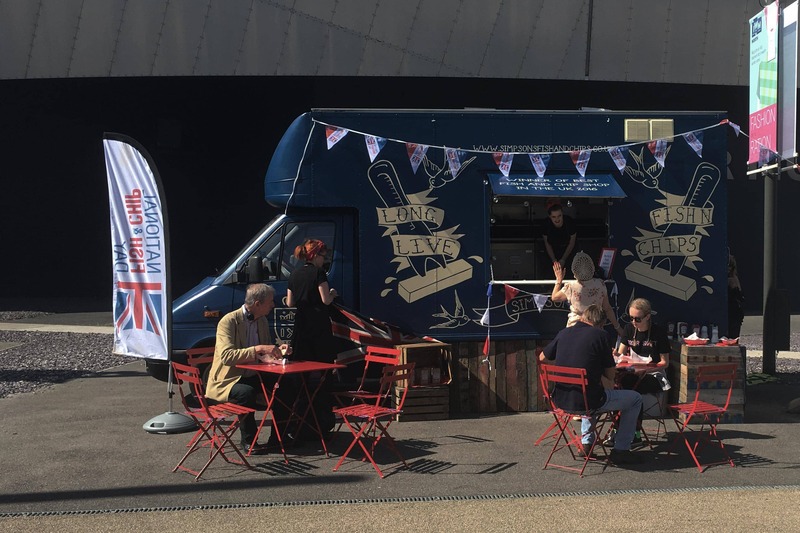 The van was fantastic, allowing everyone to be served outside and fitted in so well with the relaxed feeling we wanted. And of course the food was, as always, absolutely delicious. I've had so many of our guests tell me that they were the best fish and chips they've ever eaten."